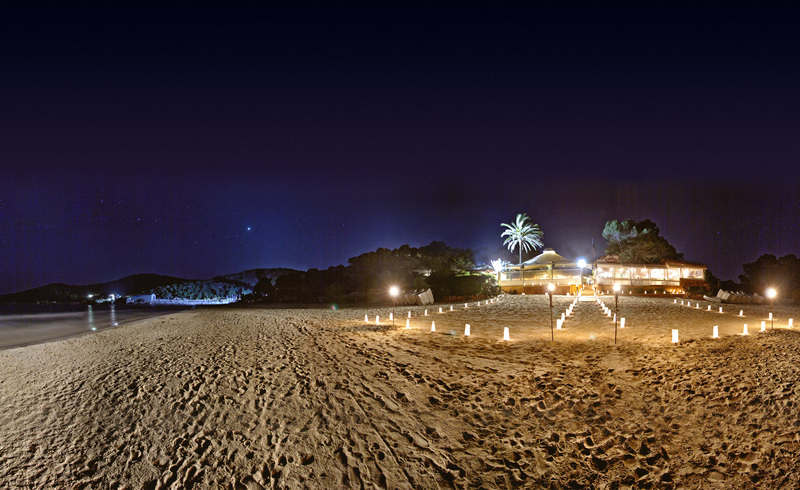 It is difficult to imagine a better setting to celebrate any event with all the guarantees of success and satisfaction. Our extensive experience in organizing private parties and events, coupled with the incomparable setting offers Ses Salines beach with crystal waters, surrounded by dunes and pine trees, makes the Malibu restaurant the ideal setting for any celebration. If you want to organize a private event, ask for information using the form below and we’ll take care of everything else.